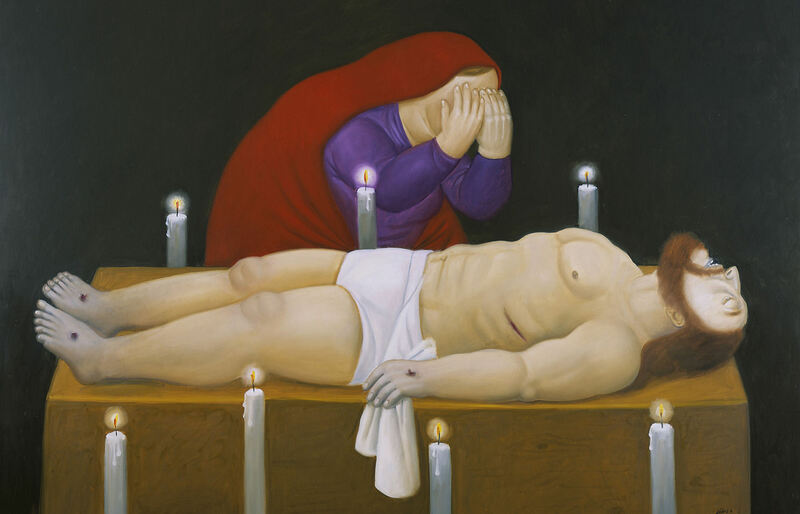 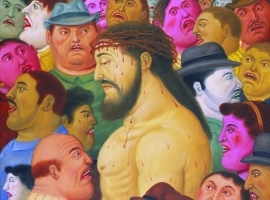 The Passion of Christ is a cycle of works created by Fernando Botero between 2010 and 2011. 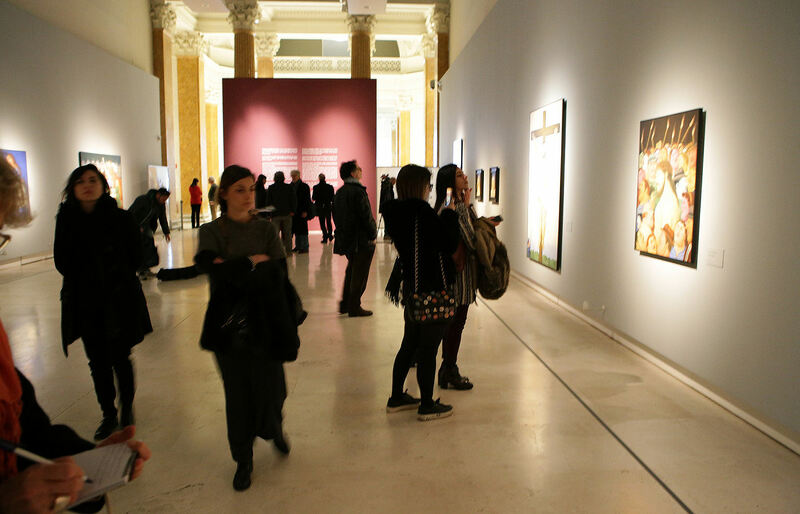 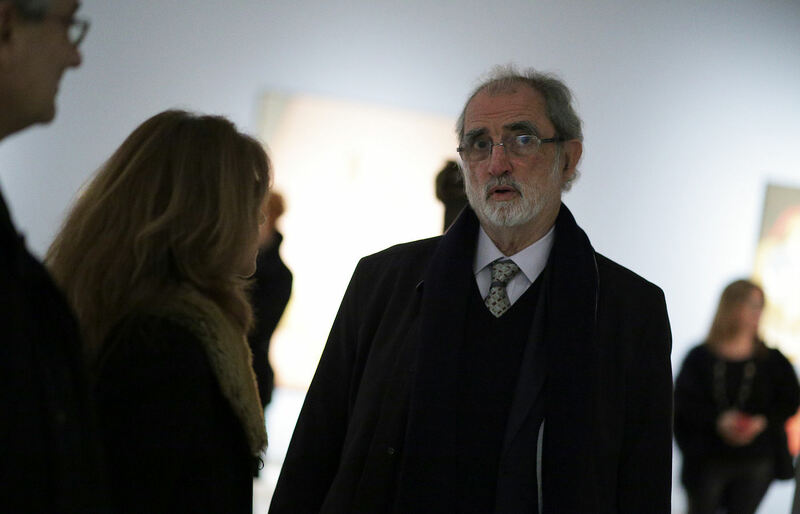 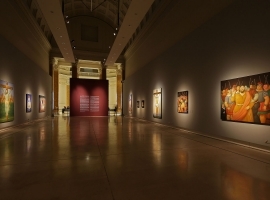 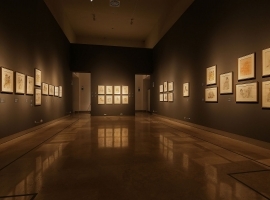 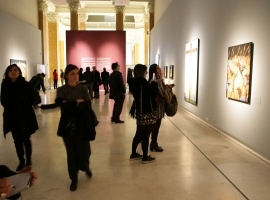 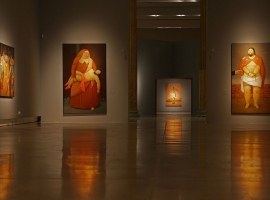 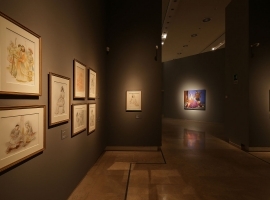 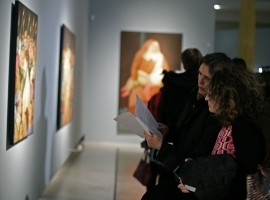 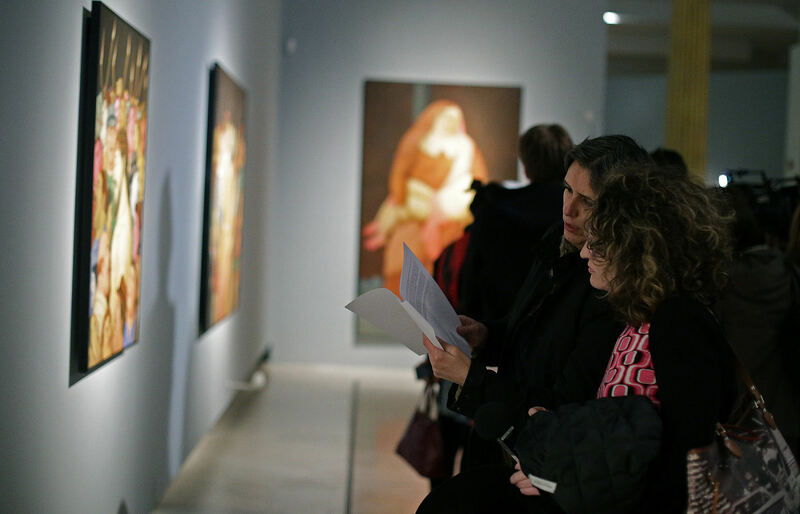 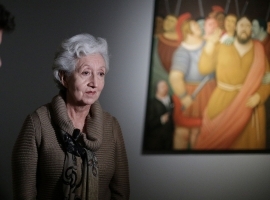 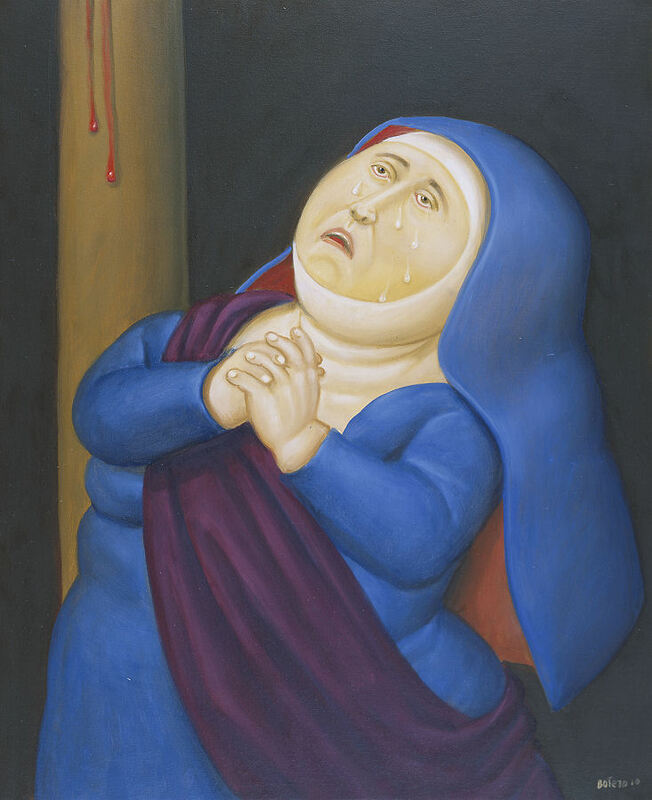 The cycle, which comprises twenty-seven oil paintings and thirty-four works on paper, and which has been shown in numerous countries on the American continent and in Europe, manifests a theme that has been a feature of Botero’s work since his childhood and early youth in Colombia, a world abounding in religious images in both the public and private spheres. 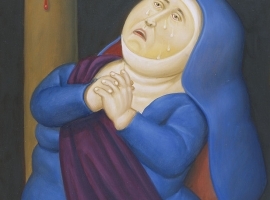 Fernando Botero’s work offers multiple levels of interpretation. 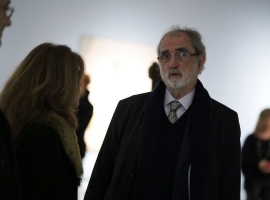 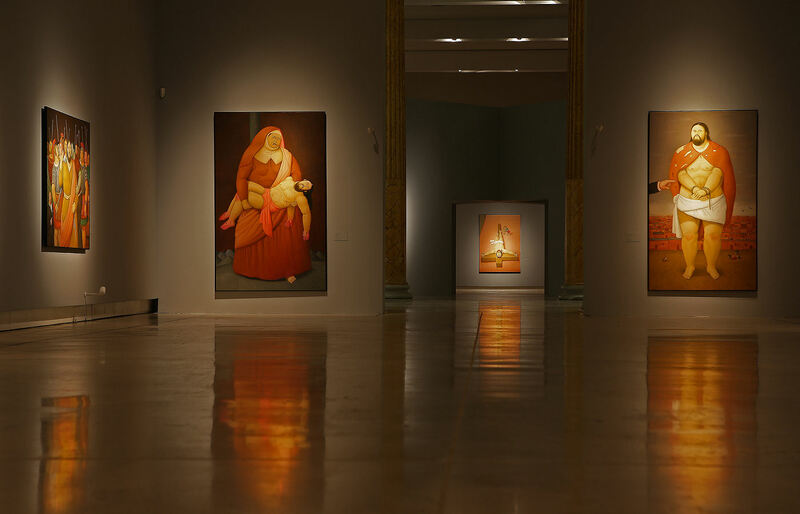 His work always offers an expansive take – never a purely imitative revisitation – on the art some of the leading players in Western art history such as Paolo Uccello, Peter Paul Rubens, Diego Velázquez, Paul Cézanne and Pablo Picasso, to name but a few. 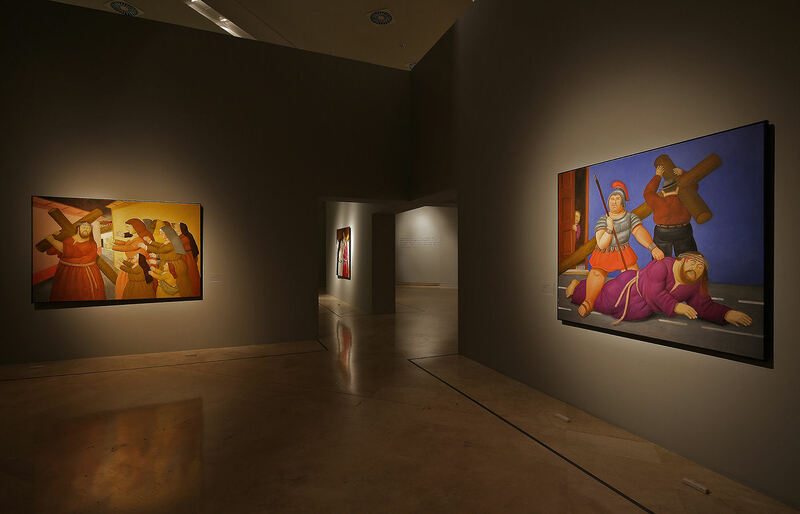 Botero has always built sensual worlds peopled with beings brimming with immense pleasure and happiness through the tranquil and sumptous abundance of forms that came to maturity in the late 1970s. 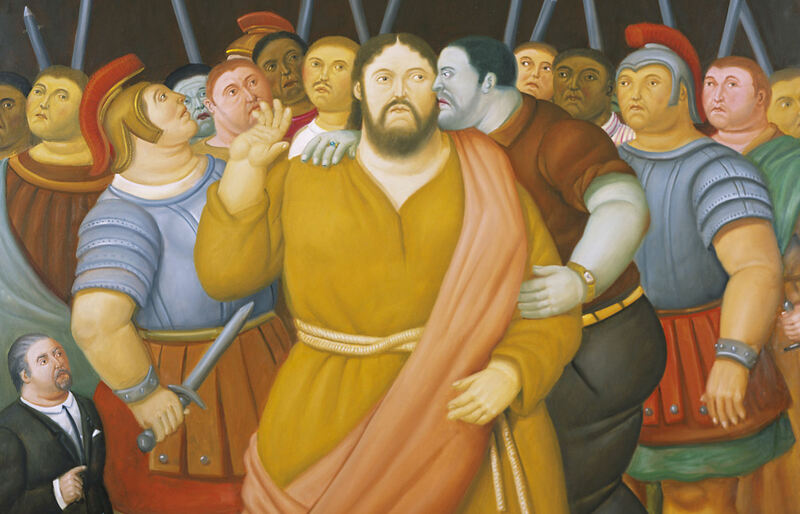 What we see here is a crossroads where memories of his city, of his homeland, are strongly criss-crossed by forms of worship deeply ingrained in his culture and in his iconography. 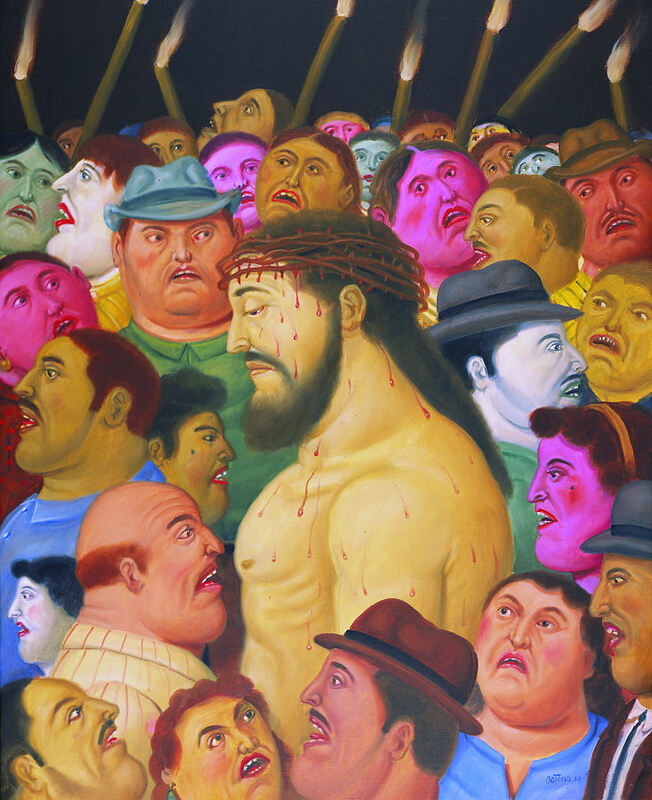 The soft features, the ideas and the forms that seem so stable, are criss-crossed here by the upheaval in which grief and tragedy take shape, adopting the figurative language that is a hallmark of the Colombian artist’s work, yet without abandoning his uniquely distorting gaze. 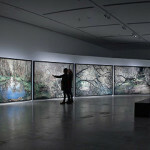 We should consider these pictures, in which drama now sweeps into the picture, as a new manifestation in which internal transformations can be identified that enrich and expand his work. 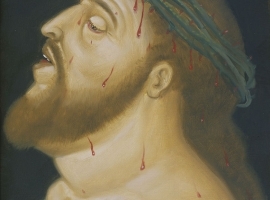 Here irony is replaced by compassion, a reflection on poetry and on tragedy, on the intensity and the cruelty of Christ’s Passion. 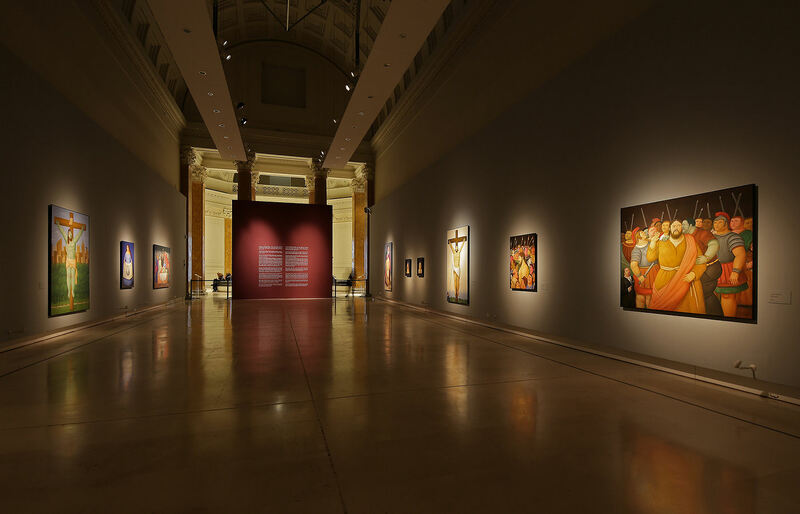 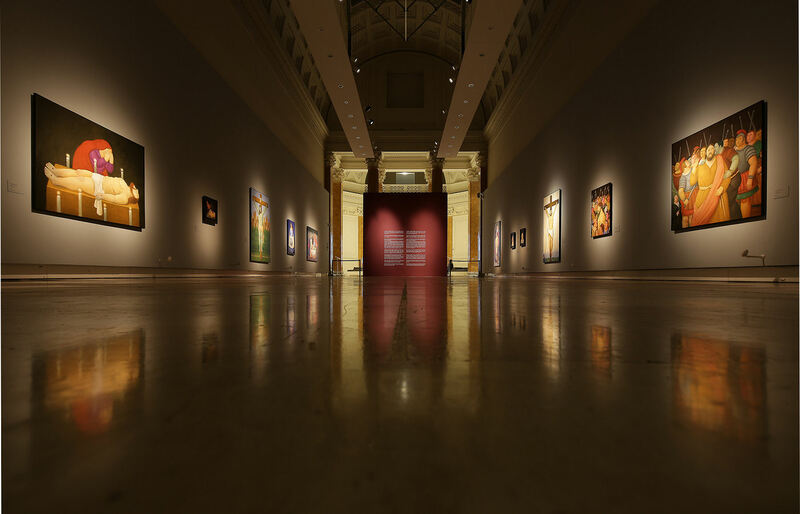 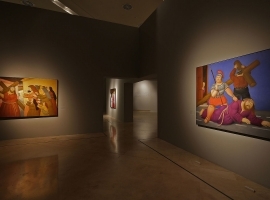 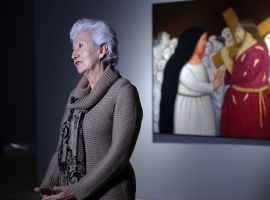 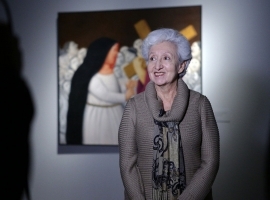 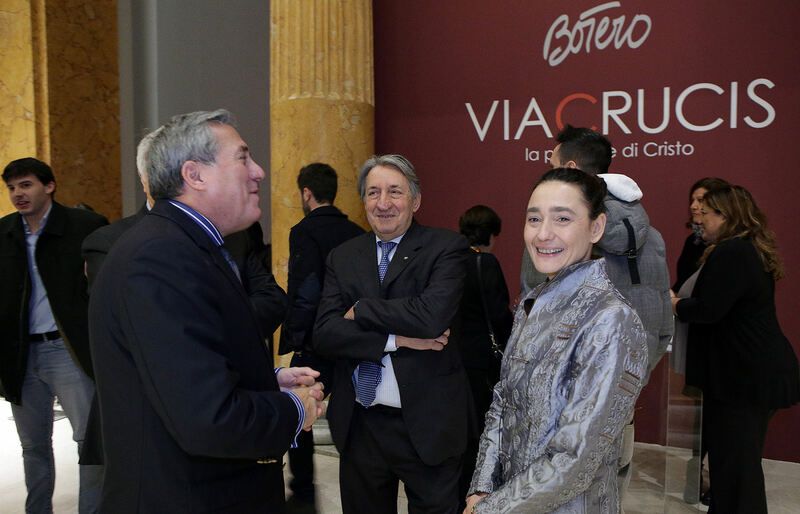 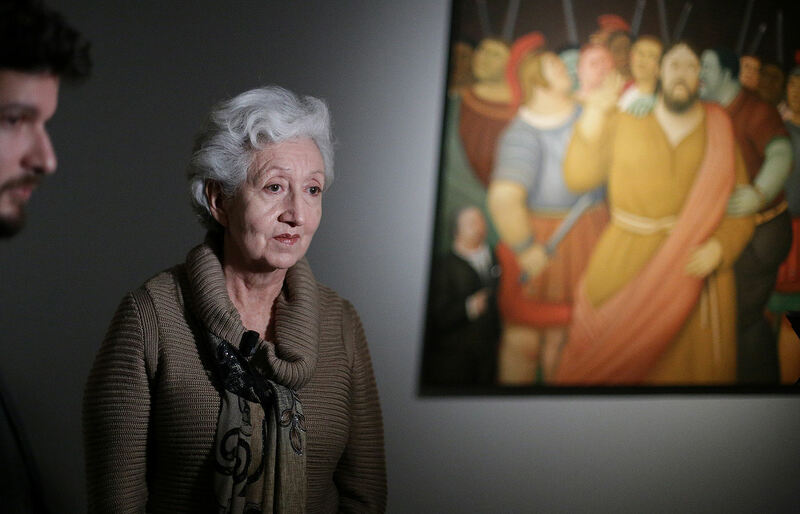 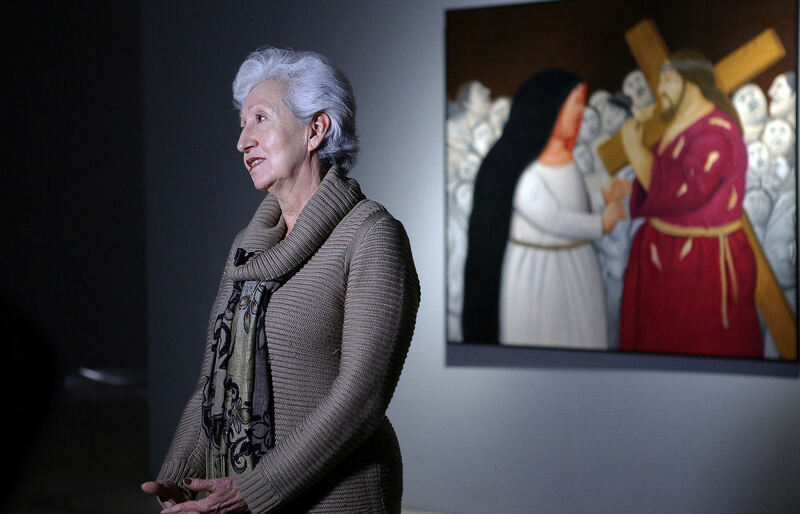 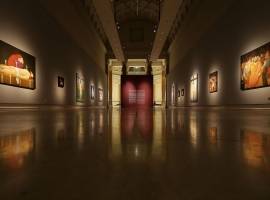 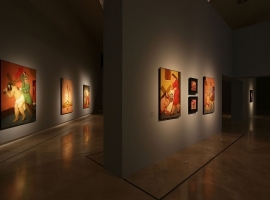 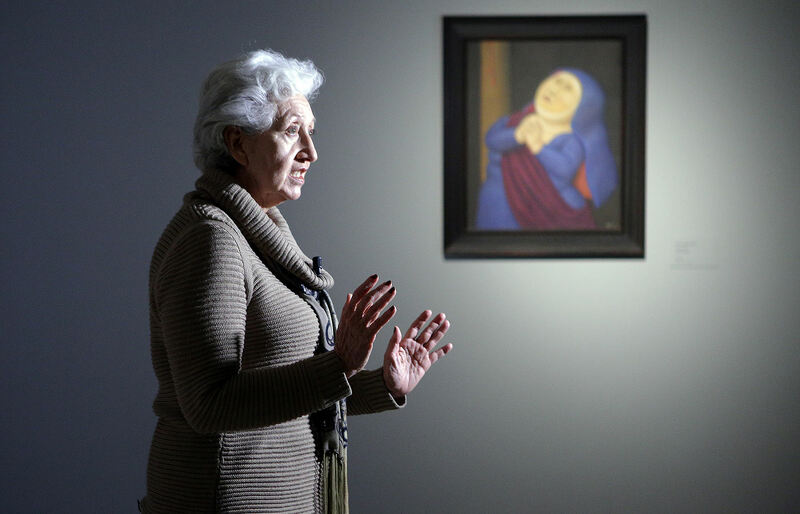 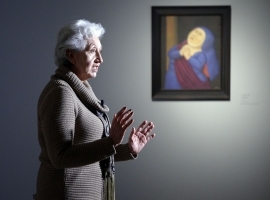 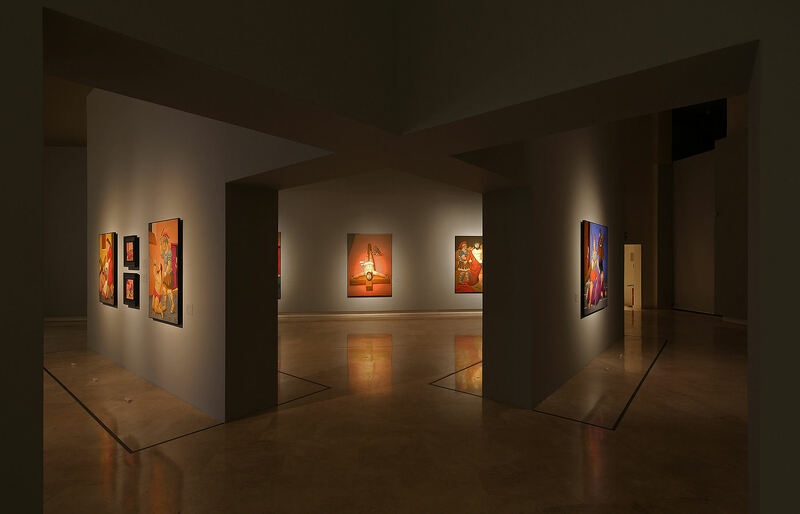 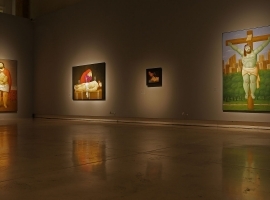 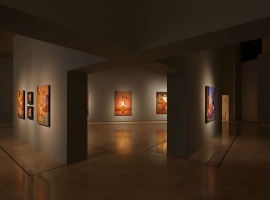 This exhibition was staged in the heart of Medellin, the city in which Botero was born, during Holy Week 2012, in the course of celebrations held to mark his eightieth birthday. 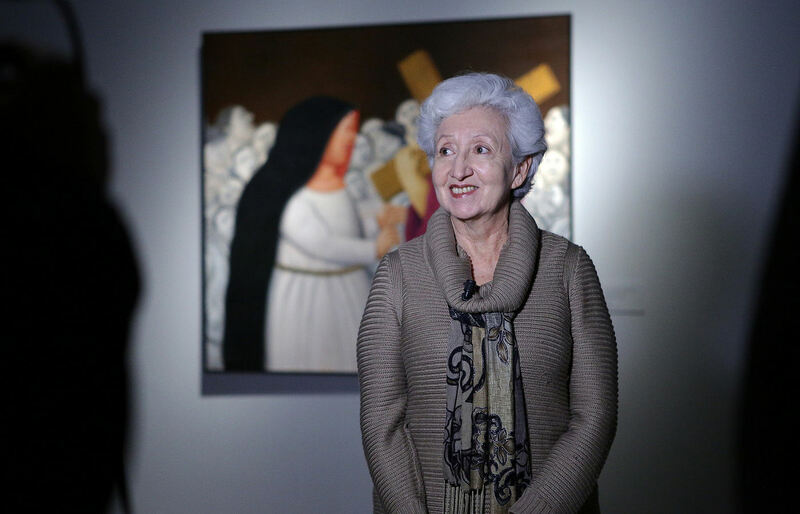 The painter then decided to donate the cycle to the Museo de Antioquia, which has been organising its world tour since then. 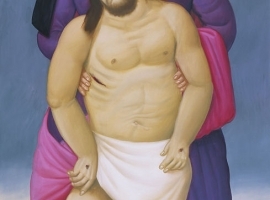 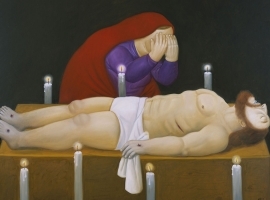 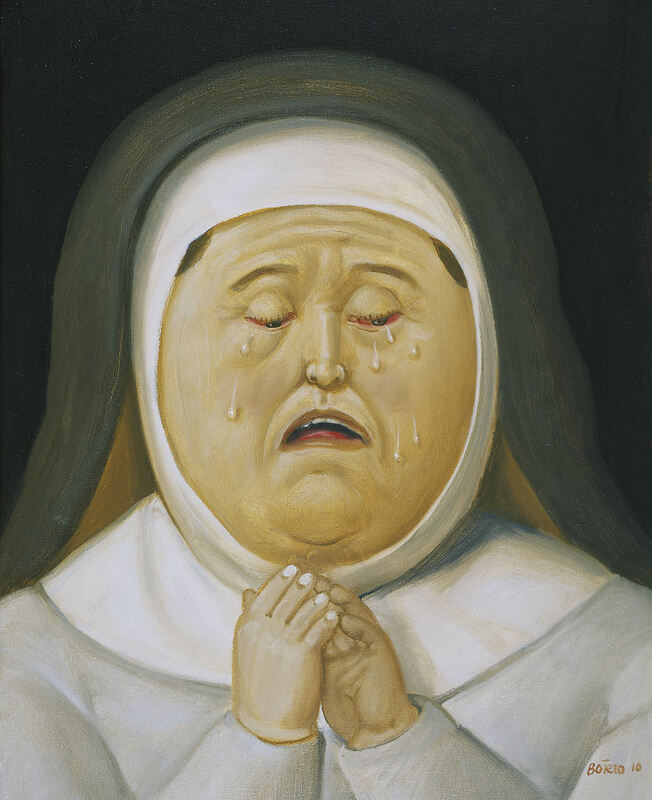 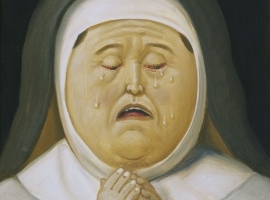 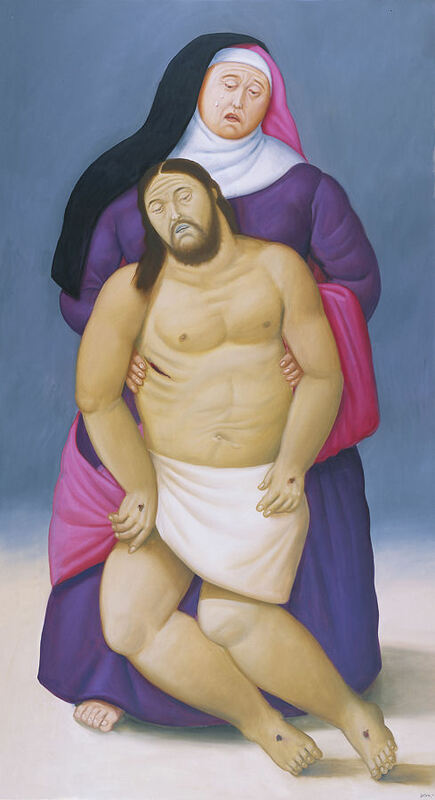 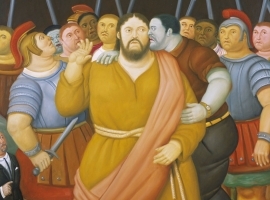 Viacrucis: The Passion of Christ is a series of paintings by Fernando Botero. 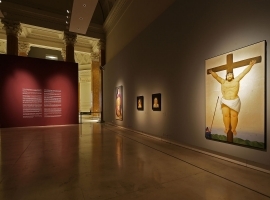 In keeping with his renowned approach, this time he integrates the tradition of Western history of art with contemporary elements, focusing on the history of religious art to refer to the human condition, pain, injustice and suffering in the world today. 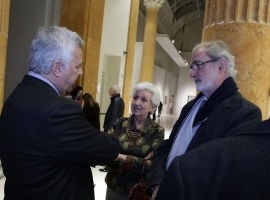 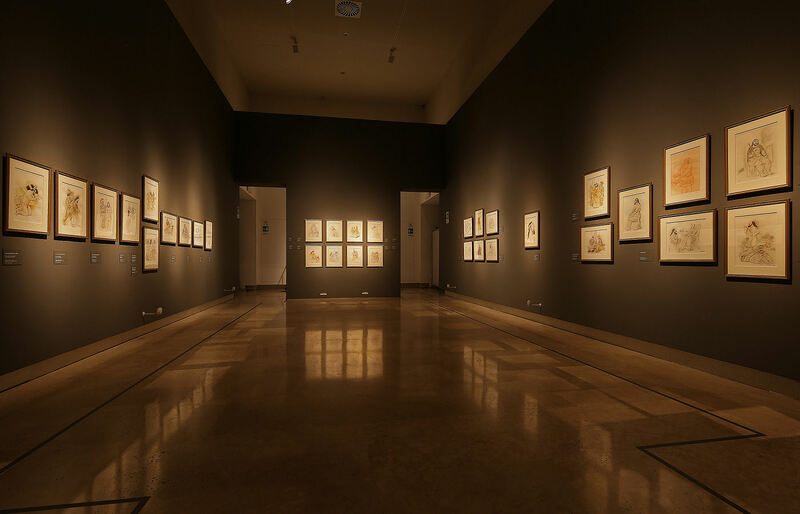 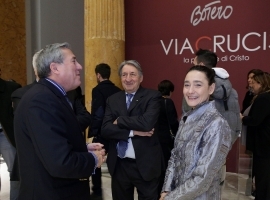 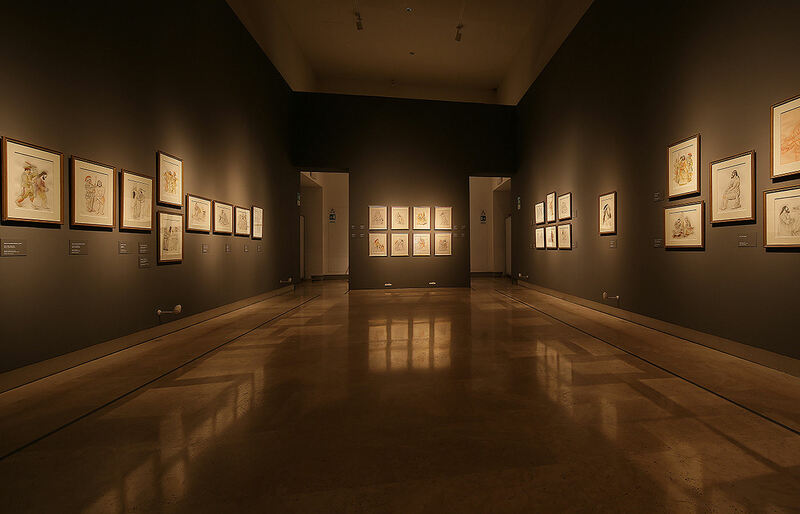 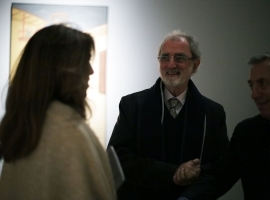 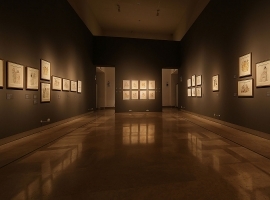 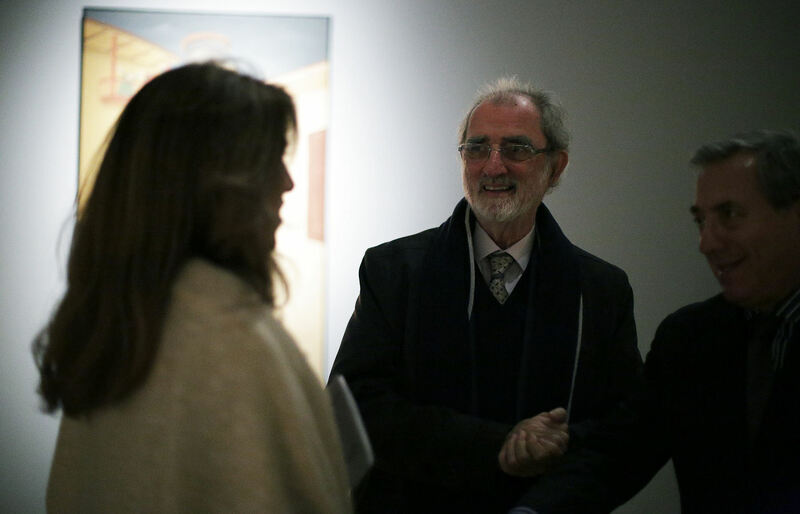 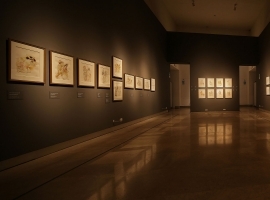 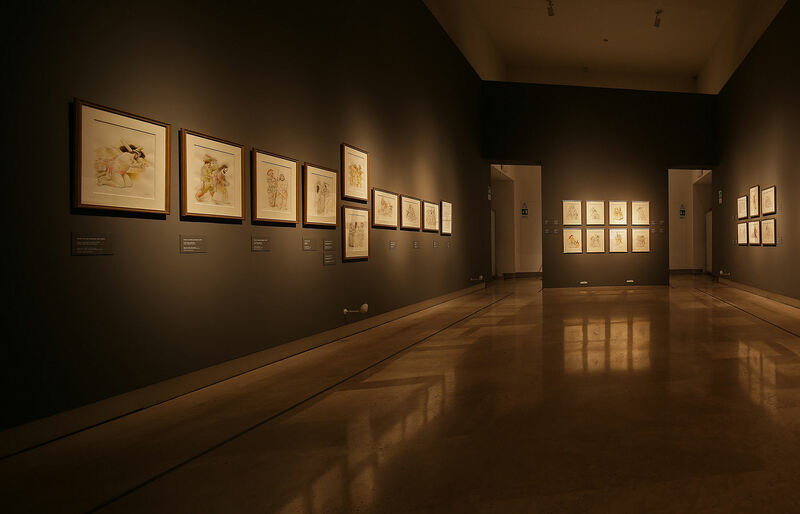 The series was donated to the Museo de Antioquia by the artist in celebration of his 80th birthday, celebrated in his city of birth, Medellín. 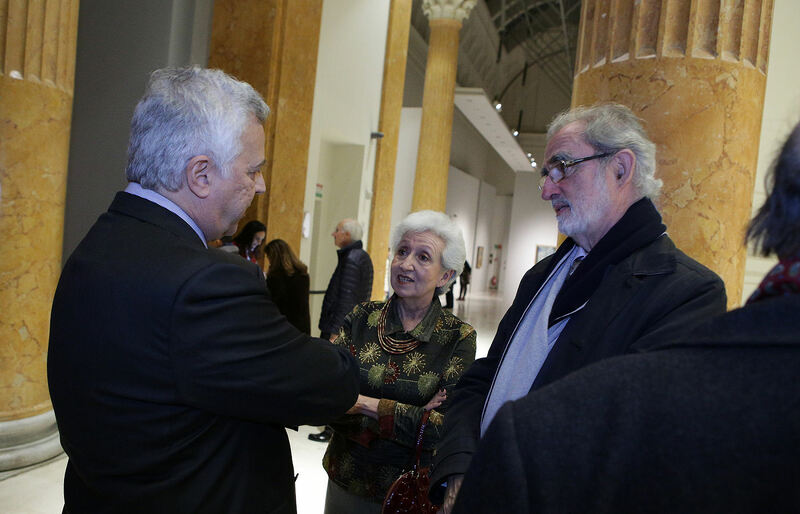 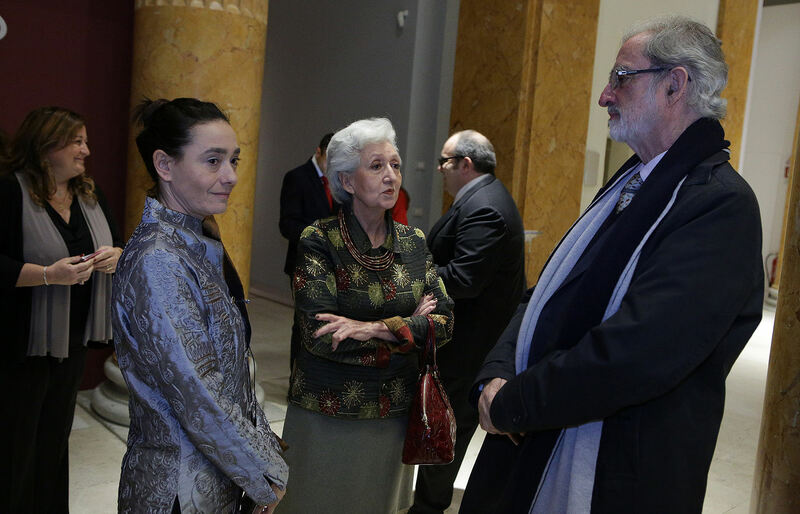 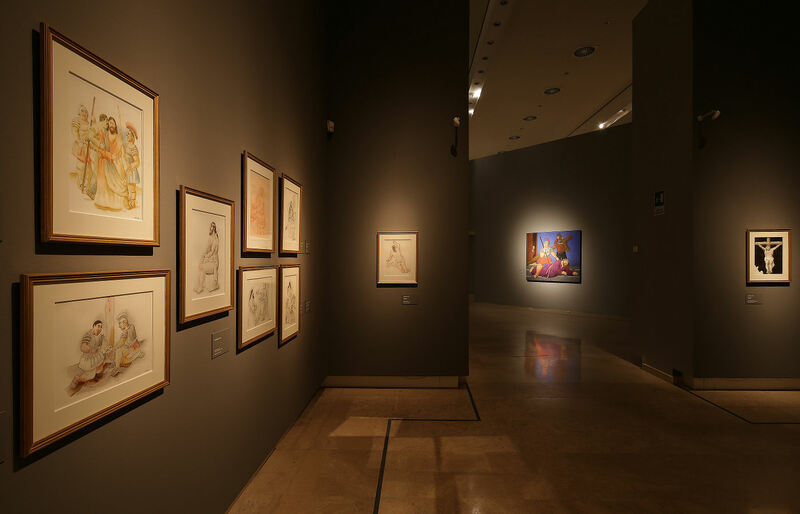 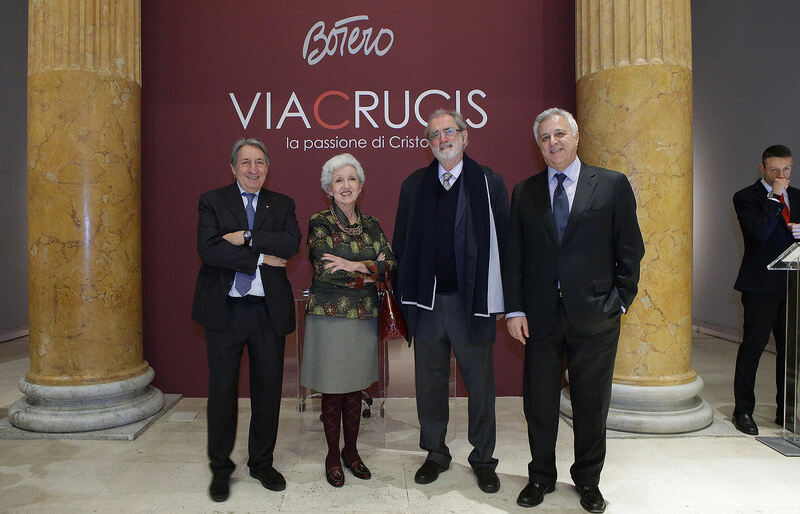 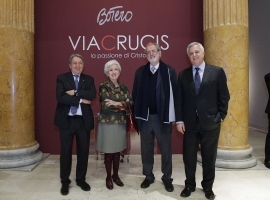 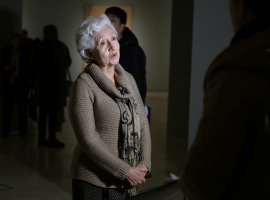 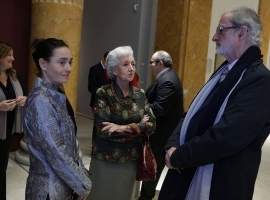 This donation has allowed the Museum to become the largest possessor of works by Fernando Botero in the world, whilst also becoming a reference point for the research of his art, thanks to the museum’s documentation archive. 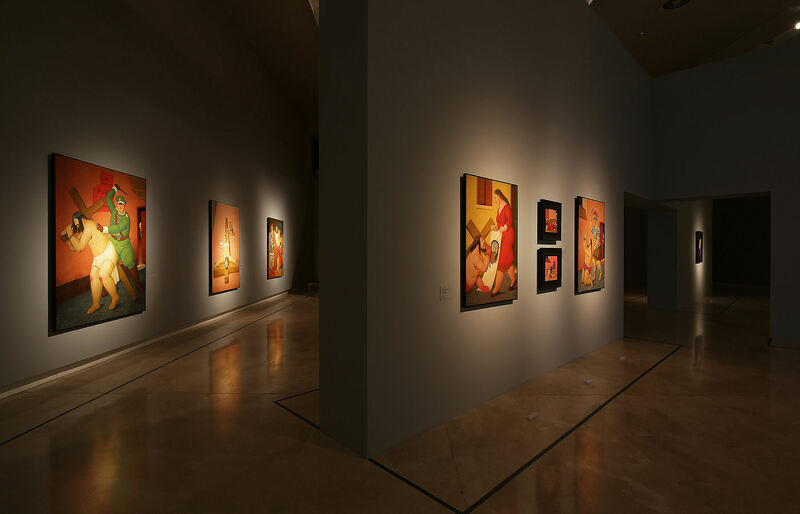 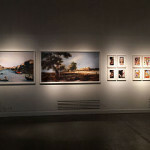 Within the salient features of the series, the viewer will find the same great skill as always found in the artists’ works of art, especially the handling of composition and colors. 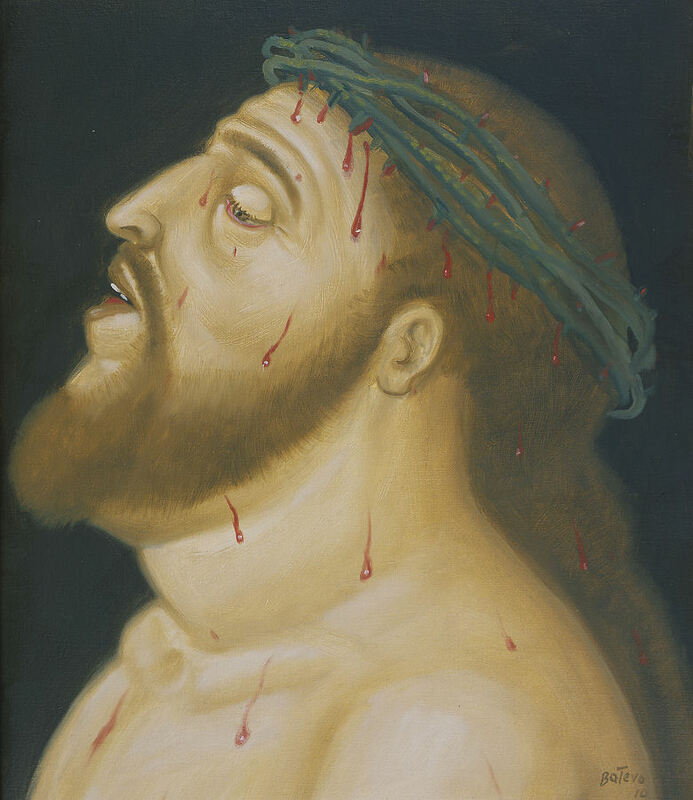 However, without a doubt his palette becomes more vivacious and overwhelming through the contrast between these paintings and the customary darkness in the treatment of the subject the suffering of Christ. 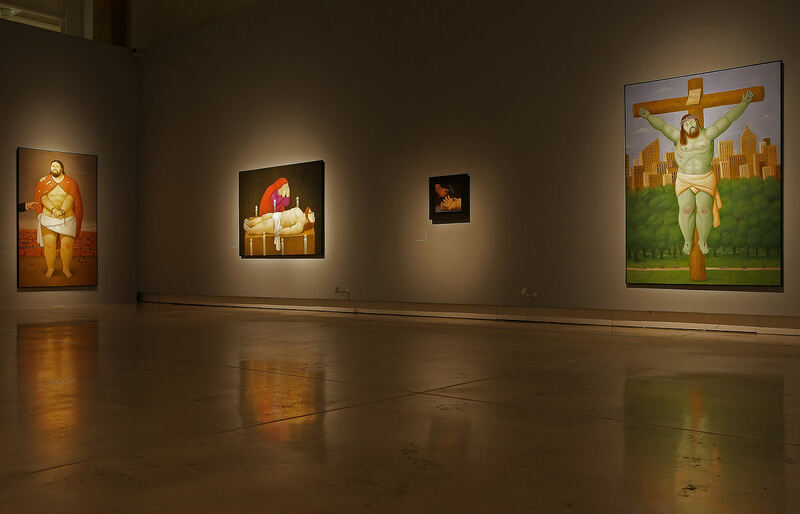 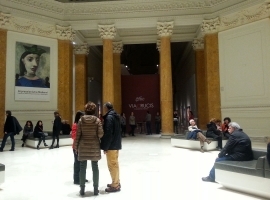 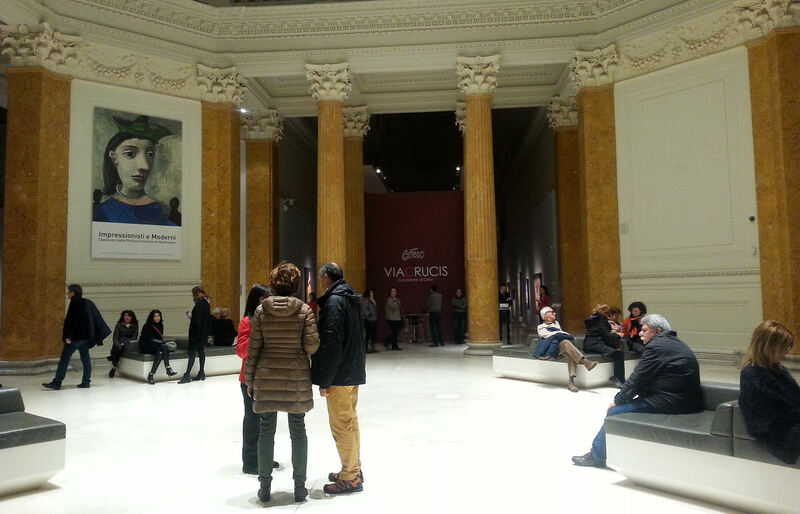 Once again references to masterpieces of universal art and his own works appear, as well as the combination of historic and modern characters, and the mixture of scenarios from the past within contemporary spaces. 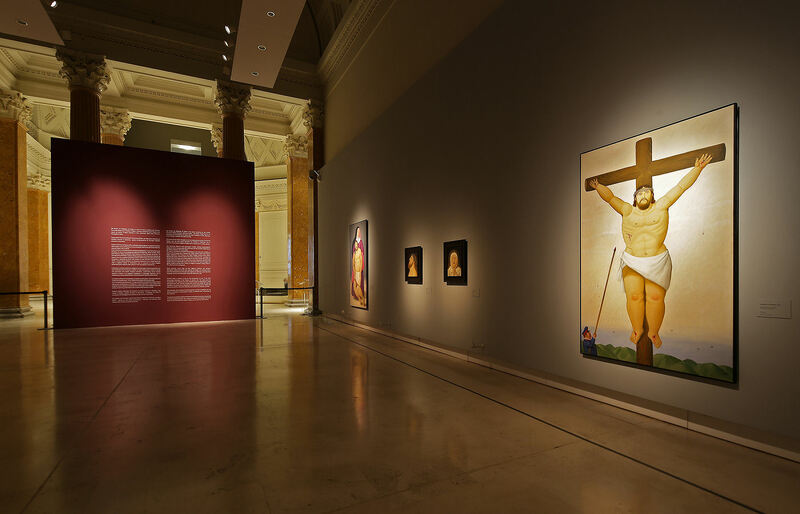 Nevertheless, beyond the many observations that can be highlighted in the pictorial plane, Viacrucis: The Passion of Christ is a series of paintings and drawings that challenge the viewers to experience an emotive involvement by inviting them to visit the gallery.